Yaser Ibn Rashed Elwadani Eldosry is a popular Quran reciter from Saudi Arabia. He has graduated in Sharia from the Imam Muhammad Ibn Saud Islamic University and got his Master’s degree in Holy Quran and its Sciences. He holds many esteemed posts such as that of the Secretary General of Prince Sultan Association for Memorizing the Holy Quran. 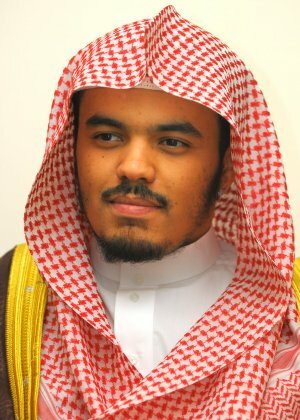 He is a member of various reputed associations such as European Committee of International Islamic Youth Seminar, Saudi Juristic and Scientific Association, Saudi Scientific Association for the Noble Quran and its Sciences; Saudi Association for Da’wa Studies etc. Shiekh Abdul-Aziz Bin Baz Mosque and Al-Dekhil Mosque. He has had 49 Quranic audio releases till date. Yasser Al Dosary has delivered lectures and speeches in numerous regions of the Kingdom such as- Madinah, UAE, Qatar, Kuwait etc. He has delivered many public lectures and given guiding speeches in various governmental authorities such as the Air Forces, Special Security Forces, Navy Forces, Ground Forces, Border Guardians, etc. He has participated in the Youth and Building the Future Summit, held in Egypt in 1428 hijri, European Heralds Summit of International Islamic youth seminar, held in Turkey in 1429 hijri and several important events.